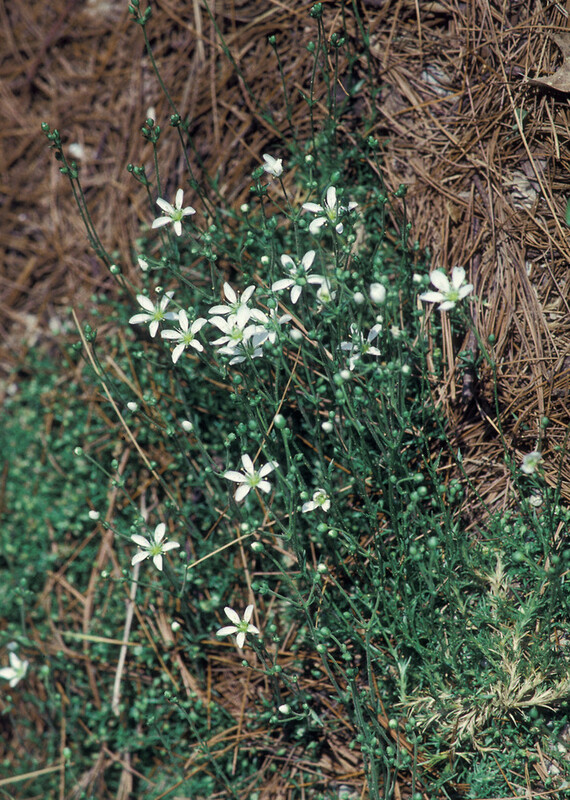 Pine barren sandplant is native to coastal eastern United States, where it inhabits sand flats, back dunes, and oak and pine woodlands near the coast. 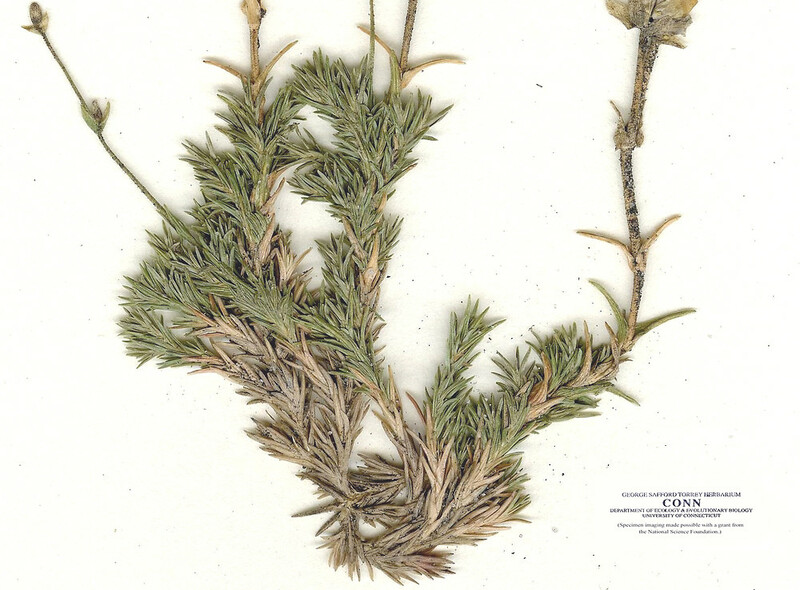 It has not been seen in New England since residential development and possibly a hurricane decimated the last remaining Rhode Island population. The other historic occurrence, from Block Island, has not been seen since the late ninteenth century. 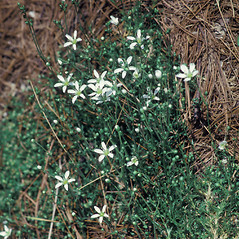 leaf blades soft, flat, stem glabrous, and petals slightly retuse at apex (vs. M. caroliniana, with leaf blades rigid, triangular in cross-section, stem usually glandular-pubescent above, and petals entire at apex). 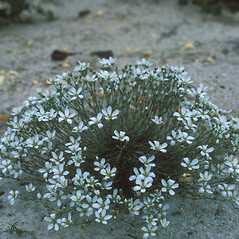 pine barren sandplant. 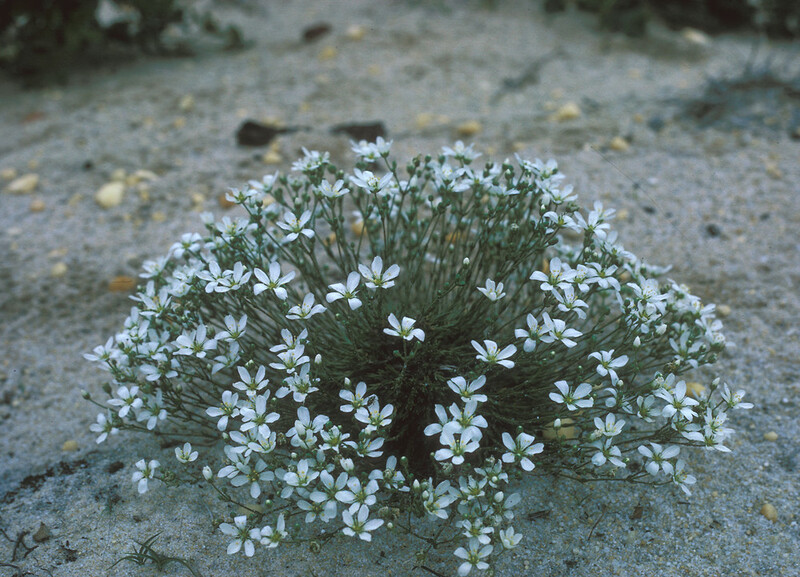 Arenaria caroliniana Walt. 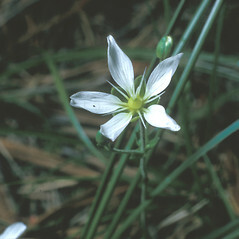 ; Minuopsis caroliniana (Walt.) W.A. 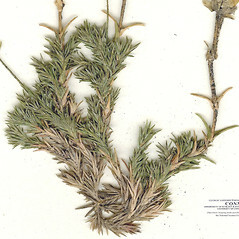 Weber; Sabulina caroliniana (Walt.) Small • RI. Sandy flats and back dunes near the Atlantic shore. 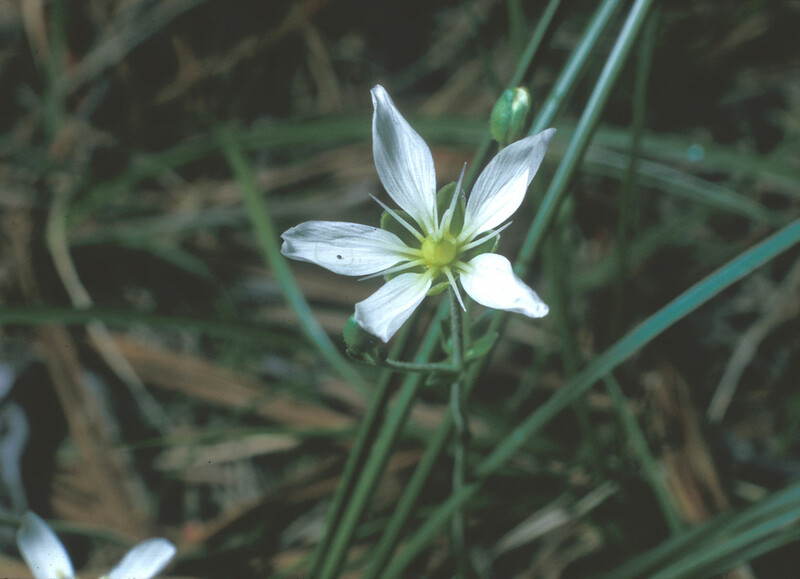 Residential development and, possibly, a hurricane (Rick Enser, personal communication), have claimed the only known mainland population of this species in New England. The Block Island population is also known historically, not known to have been seen since the late 1800s.